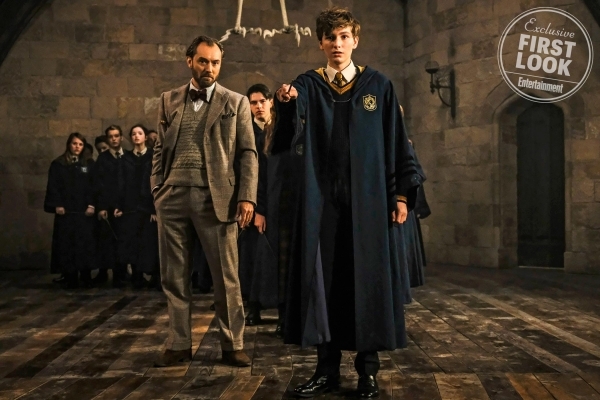 Entertainment Weekly released the first photo of a young Newt Scamander - played by Joshua Shea - in Transfiguration class being taught by Professor Albus Dumbledore (Jude Law) in the upcoming release of Fantastic Beasts: The Crimes of Grindelwald. That can be seen here. Pre-order the Fantastic Beasts: The Crimes of Grindelwald screenplay book now.